I just got great news: the final update from Bread for the World about our holiday fundraiser. (Gifts just kept coming in, well into January.) More than 3,200 of you participated — and together, you donated $487,352. With my $700,000 “double match,” we raised a total $1,187,352 — far exceeding our million-dollar goal — to help build the political will to end hunger. Just thinking about what this money will accomplish fills me with joy and gratitude…and pride in the big hearts of my fellow travelers. When I rave about the work of Bread for the World (as I have for 30 years), people often ask, “Just what does it do?” And when I explain that it’s a lobbying organization, some people react with, “Why would you pay for lobbying when you’re fighting hunger?” I reply that “lobbying” is actually just “advocacy” — and it’s more important and impactful than ever, now that the Trump administration and House Republicans are championing budget cuts and tax reforms that will do great harm to hungry and vulnerable people. I know we all have a lot on our plates these days. But many people, at home and abroad, have the opposite problem. And — thanks to the collective effort of more than 3,200 of you — we’re making a huge difference. Our friends at Bread for the World report that our initiative has injected palpable energy into the organization at the beginning of another daunting year. 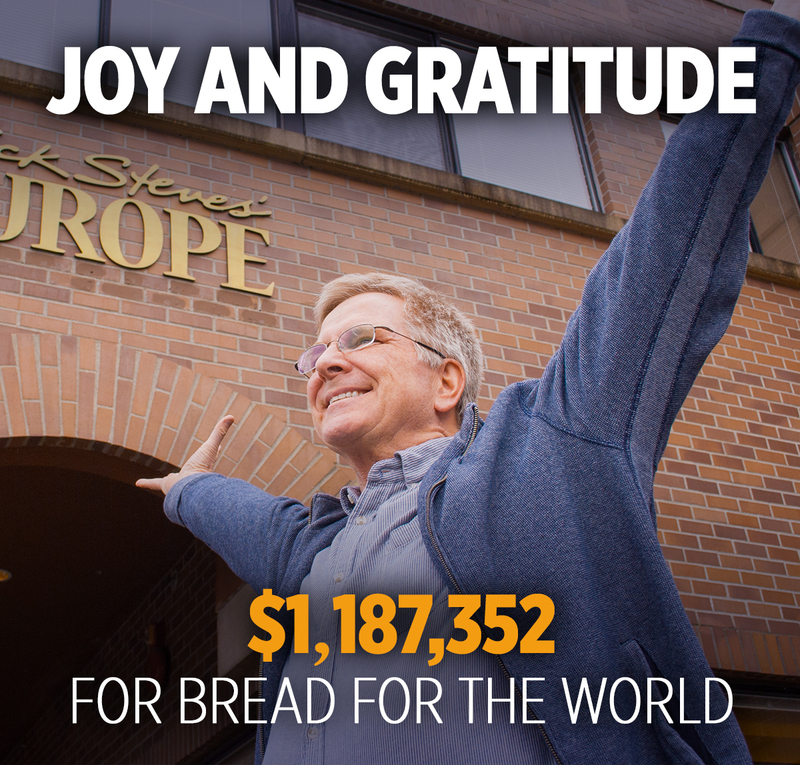 If you care about ending hunger…Bread gets it done. Thanks, and congrats to all involved!